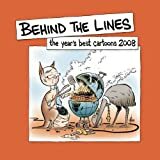 Compiling the best cartoons and illustrations collected by the National Museum of Australia in 2008, this volume features an especially large number of digital-born cartoonswhich outnumber hand-drawn entries for the first timereflecting the fast-changing nature of professional political cartooning in Australia. Guy Hansen is a senior curator in the Australian Society and Culture Program at the National Museum of Australia. He has also curated a number of major retrospectives of Australian political cartooning.